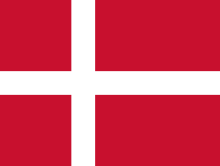 Denmark (Danish: Danmark), officially the Kingdom of Denmark, is a country in the northern European Union. The southernmost of the Nordic countries, it is southwest of Sweden and south of Norway, and bordered to the south by Germany. Denmark is part of Scandinavia, together with Sweden and Norway. The Kingdom of Denmark is a sovereign state that comprises Denmark and two autonomous constituent countries in the North Atlantic Ocean: the Faroe Islands and Greenland. 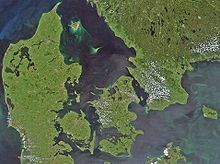 The country consists of a peninsula – Jutland – and an archipelago of 443 named islands, of which around 70 are inhabited. The islands are characterized by flat, arable land and sandy coasts, low elevation and a temperate climate. But we are in an extraordinary situation in which there are people coming to this country for whom we cannot get the needed information on. One can ask themselves how long these people should be kept out because they can’t show the right papers. Culture Minister Bertel Haarder, quoted on The Local.dk (February 17, 2016), "Denmark eyes relaxed rules for refugee daycare workers"
We are not Denmark. I love Denmark. We are the United States of America, and it is our job to rein in the excesses of capitalism. Hillary Clinton, quoted on Quartz (13 October 2015), "Hillary and Bernie spar: Who loves Denmark more?" The fact that Danish business leaders are warning of damage to the nation's brand, it is, however, strangely welcome. Seeming much more unfriendly and closed than other countries is the only path open to desperate politicians facing exploding costs and seemingly insurmountable integration issues. And darker measures may still lie ahead. I know that some people in the U.S. associate the Nordic model with some sort of socialism... Therefore, I would like to make one thing clear. Denmark is far from a socialist planned economy. Denmark is a market economy... The Nordic model is an expanded welfare state which provides a high level of security to its citizens, but it is also a successful market economy with much freedom to pursue your dreams and live your life as you wish. When you look around the world, you see every other major country providing health care to all people as a right, except the United States. You see every other major country saying to moms that, when you have a baby, we’re not gonna separate you from your newborn baby, because we are going to have — we are gonna have medical and family paid leave, like every other country on Earth. Those are some of the principles that I believe in, and I think we should look to countries like Denmark, like Sweden and Norway, and learn from what they have accomplished for their working people. Bernie Sanders, quoted on Fortune (February 17, 2016), "Bernie Sanders Was Right: Denmark Is the Best Nation for Working People"
William Shakespeare, Hamlet, Act I, scene 4, line 90. [T]he much sterner Danish model has enjoyed more success with its active cultural-integration campaign, its insistence on Danish cultural norms and practices, and its emphasis on economic self-support. Though much remains to be seen, there is evidence to suggest that the Nordic welfare state is something that only really works in a society that is 98 percent Norwegian, Swedish, or Danish. This page was last edited on 23 August 2017, at 03:54.